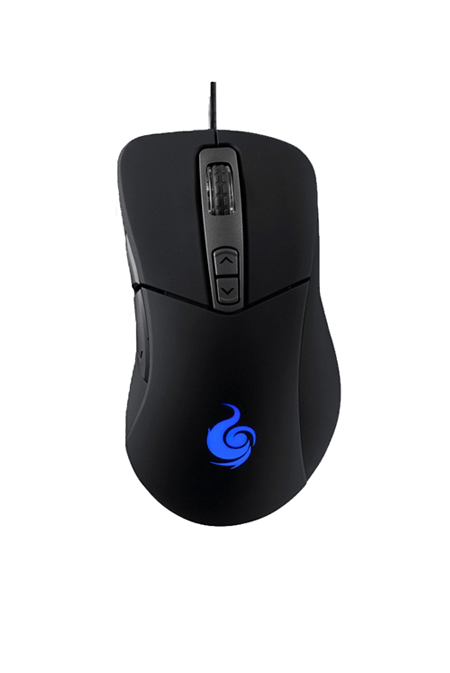 The Cooler Master Storm Mizar is a gaming mouse that you will not frequently find on gaming mouse forums and websites. It is not so popular, maybe because it is relatively newly introduced or maybe because it is produced by a company that is not as popular as the gaming giants Logitech and Razer. 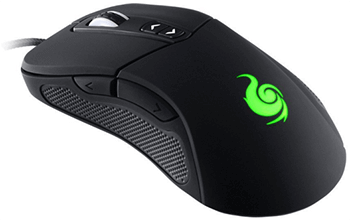 Nevertheless, in its basics and core, the CM Storm Mizar is an optical gaming mouse that is ergonomic. 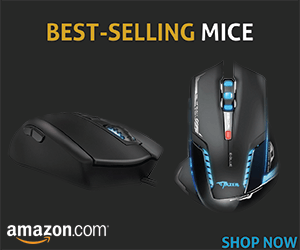 Because of the fair and affordable price and the fact that it has 7 programmable Buttons and one of the best dedicated DPI, it should be one of the top favorites when selecting a gaming mouse. I liked the design, it is minimalistic and classic. That is why I would recommend this mouse mostly to people that like classic and minimalistic designs. The built material is sturdy and durable. They’ve done a nearly excellent job in terms of material quality, weight and looks. When the ergonomics and comfortability are in question, this mouse is at the very top. It is so comfortable to hold on and it feels great moving around. 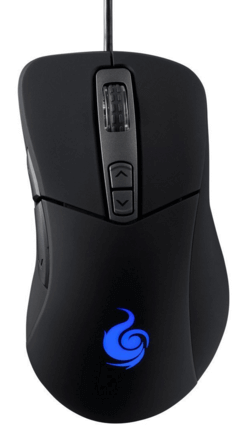 It has the contoured grip that many gamers are searching for in a mouse. The design is intentionally sculpted in order to create comfort and there is an ergonomic support that decreases the one thing that will bother you while gaming – the nerve compression. The sides are nice and grippy while the buttons are comfortably and enjoyably clickable. Another important feature the CM Storm Mizar can offer you is superior control and preciseness. Users are praising it for the great control and the almost perfect weight, although the mouse’s weight is not customizable, as many of the mice we’ve reviewed before are. The precision is guaranteed by the 8200 DPI Avago 9800 optical sensor. This sensor guarantees amazing accuracy and flawless control. The DPI buttons are located smartly on the sides with great access. The neat thing about it is that they are moderately responsive. You wouldn’t make mistakes accidently clicking the buttons, they are not too sensitive. On the other hand, please note that the indicator for the personalized settings is the logo located in the center. It will change its color and you can choose from up to 7 different logo colors. In terms of software, Cooler Master has done a great job in terms of accessibility and intuitiveness. The software is really easy to install and set up. You can download the software from the web and program your desired macros and profiles with ease. Again, I need to mention that you will have 7 programmable buttons that can be used as macros or controls. Overall, this is a nice, affordable gaming mouse with a reasonable amount of features for the price. With the classic design, beautiful LED logo that can change its color with bright shiny colors according to your settings, and one of the best optical sensors in the industry, the CM Storm Mizar can and will satisfy the tastes of even the harshest gaming critics. Is a relatively underrated gaming mouse that needs to get the attention of the gaming reviewers and the gaming community. It can do all the things the popular gaming mice can do, but it looks neater and classier than the majority of them. Bright LED lights and great and ergonomic design.